How to copy a project? Sometimes it might be useful to make a copy of a project, for example, if you wish to use it as a template for a new project. Copying a project is a simple process. Once on the dashboard, click on the details button of the project that you want to copy. You will be taken to the details section. From the options on the right hand side, select Copy. Simple as that! 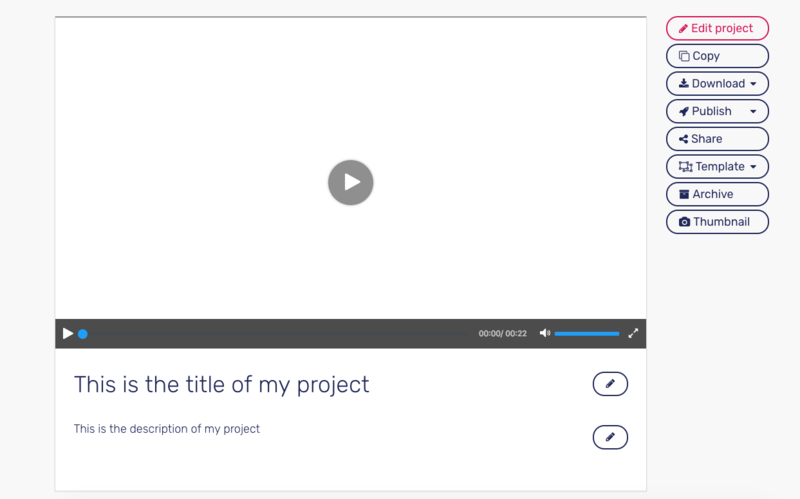 In here, you can also choose to edit the title and description of your project or edit the thumbnail of your project. Please note that options, such as downloading a project or saving a project as a template, are only available to Pro users. You can then rename this project, edit it and export it like any other project.